We are well equipped to deal with all sorts of leakages be they leaks in toilets, baths, taps, drains or water tanks. Our team of technicians is vastly experienced in spotting leaks and so you are guaranteed speedy resolution of the leakage. If components of your drainage or water supply system have to be replaced we will do it for you; we will replace your taps, bath, pipes or pumps with high-quality parts that will last. Also among our plumbing services is the repair of all kinds of immersions including unvented and pressurized cylinders. In addition to immersions, we do plumbing for all appliances and we’re also able to repair main drain lines. Should you want to overhaul your bathroom, we will supply and install an entire bathroom suit for you. Fast Response Plumbers’ team of locally based plumbers provide a variety of drainage system services to residents of West Wimbledon. Among the most requested of these is the unblocking of sinks, toilets, baths, drains and other passages where clean or waste water flows. Not only do we unclog the blockage, we work to avert possible reoccurrences by performing de-scaling of drain pipes or replacing problematic drain pipes including dig ups. Outside the house, we also unblock gulleys, outside drains and manholes. Drain servicing, repair and relining are also part of the drainage services we offer clients. West Wimbledon inhabitants and those living in other parts of southern London can trust Fast Response Plumbers to also take care of their central heating systems. Our technicians are experienced in detecting and fixing gas leaks as well as problems with all kinds of boilers. Heating problems occasioned by faulty radiators, pipes, pumps or immersions will be dealt with whether it involves replacing of components or redesigning the entire heating system. Landlords in this area of London can also enlist the help of Fast Response Plumbers in obtaining their Gas Safe certificates. This is a suburb that lies to the southwest of London that has prime residential properties. Being just 11km away from the center of London and boasting excellent over-ground and underground links to other parts of the capital, West Wimbledon is the perfect commuter town. 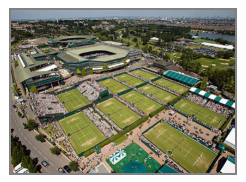 But Wimbledon is itself the home of the headquarters of a good number of organizations; the NHS also has a large call center there. Both enterprises and homeowners based in this locality can look forward to the quick and efficient resolution of all their plumbing and drainage concerns thanks to the presence of Fast Response Plumbers. Our team of dedicated professionals will ensure leakages and blockages are dealt with definitively.